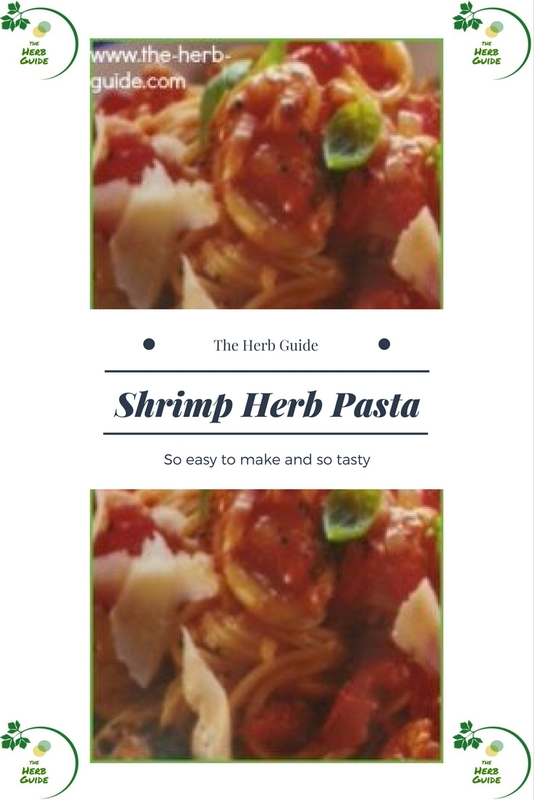 This shrimp herb pasta recipe is the famous and sought after Shrimp alla Diavlo. It's a spicy combination of tomato, herbs, garlic and pepper. 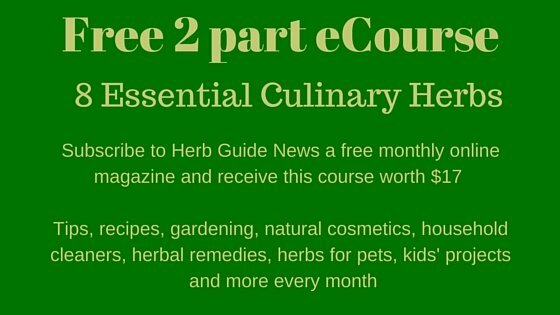 If you cook the base sauce in advance, that will give it time for the flavours to amalgamate and intensify. Melt butter in olive oil and gently fry the garlic and onion until soft and transparent. Stir in the tomatoes and simmer for 5 minutes. 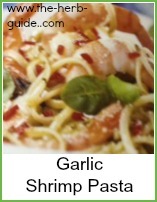 Add remaining ingredients except the shrimp and parsley. Stir well and Simmer for about 30 minutes until the mixture is thick. At this point, you can leave the tomato sauce to cool to infuse the flavours - taste and season with pepper if required. Remove bay leaf and hot pepper halves. Bring the mixture back to simmering point and add the shrimp and parsley and heat through - a few minutes, don't overcook the shrimp or it will become tough. Cook pasta (your choice) according to directions. Drain and toss the pasta with half of the sauce. Put the pasta into warmed serving bowls. Top with extra sauce and seafood and serve immediately with grated parmesan cheese and some crusty bread to mop up the sauce. 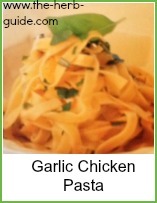 The alla diavlo recipe would go equally well with chicken. You would need to pre-cook your chicken and then put it into the sauce the same as the shrimp. It would be a useful way of using up leftover chicken from your roast one day. If you cook it in advance, then leave it a while (even overnight if you like) then the flavors will infuse and make it more intense. It can also thicken the sauce a little. Add the shrimp to the sauce when you re-heat - don't add it before you're ready to serve with the pasta or the recipe will toughen the shrimp and it won't taste as tender as it could. I often cook my spicy dishes in advance and leave them - chilli and curry are always more tasty on the second day. 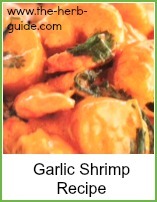 You can use any form of seafood you like really but the most common is shrimp. 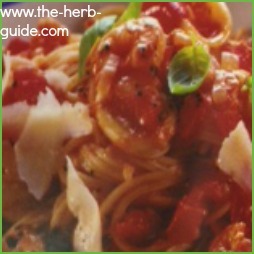 Spicy Shrimp alla Diavlo - a herby but hot shrimp pasta recipe. Really easy to put together. The sauce will benefit from being made the day before if you want a bit more heat in it.